This rich milk spread is made with Bounty’s signature coconut flakes, so you can sail away with this sweet, tropical spread. Ideal as a dip for pretzels, paired with peanut butter for a wicked sandwich, or for use in baking applications. 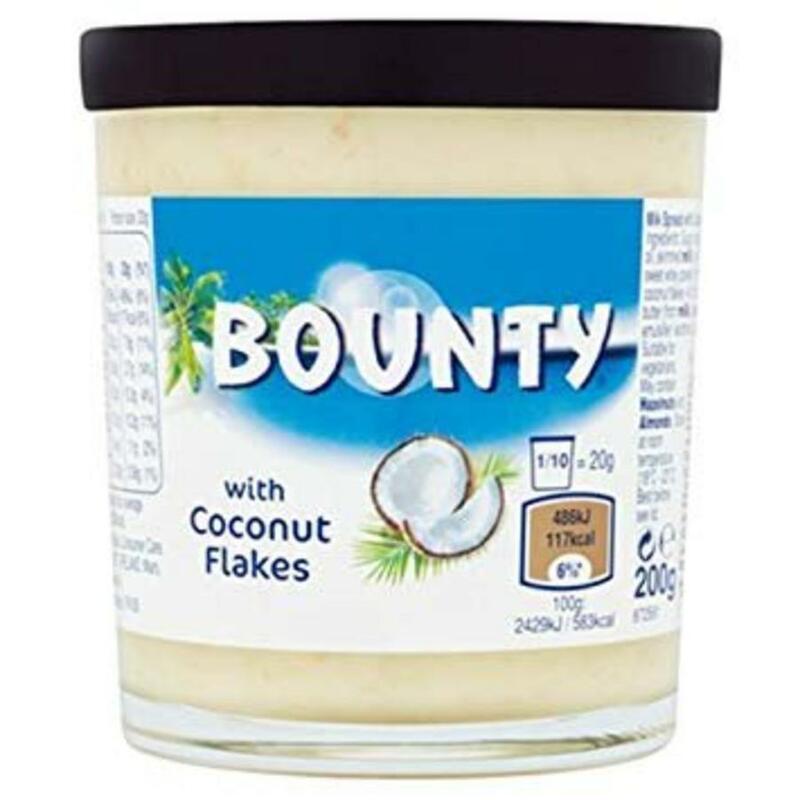 Ingredients: sugar, rapeseed oil, maltodextrin, palm oil, whole milk powder, coconut flakes, emulsifier: lecithins, salt. May contain hazelnuts and almonds. Suitable for vegetarians.